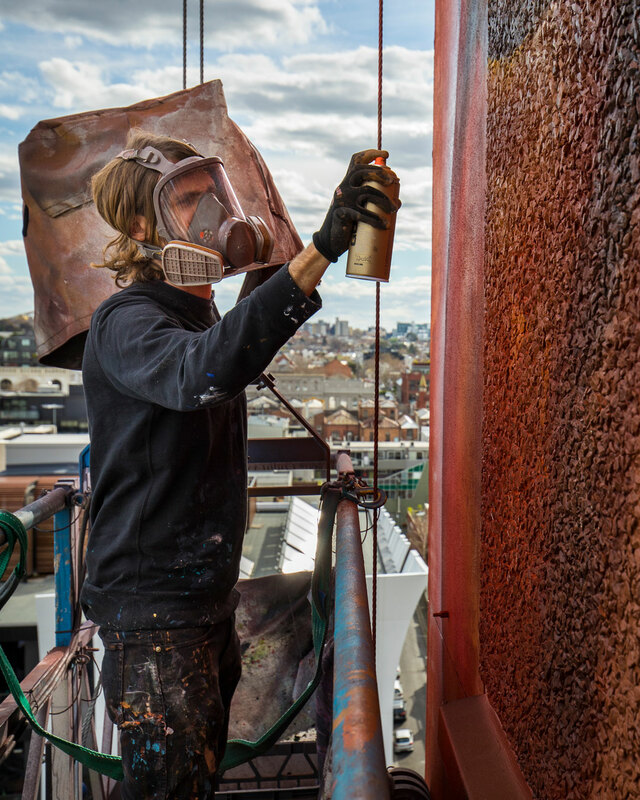 If you’ve found yourself anywhere near the vicinity of 240 Wellington Street, Collingwood lately, you might have noticed an enormous mural being painted on the side of the building. That mural is now the tallest in the southern hemisphere, and it was painted by local artist Adnate. Teaming up with the Juddy Roller team, and with the blessing of local MP Richard Wynne, Adnate’s mural is 20-storeys high and features 4 residents of the housing estate. The Wellington Street housing estate was built in the 1960s as part of an urban renewal program following World War II. It is one of Melbourne’s largest public housing estate with over 2,500 people calling it home. Residents depicted are 6-year-old Arden Watson-Cropley, 5-year-old Ni Na Nguyen, Ethiopian refugee Badria Abdo, and Yulius Antares Taime. The mural is now complete and is well and truly ready for everyone to check it out. Looking to the south, St Kilda is on its way back up due to urban renewal. We spoke to some locals to find out what's happening, read all about it here.